an eye on your store. Watchdog is a Magento plugin that sends email alerts, including a daily sales summary email, or email alerts based on triggers (a spike in sales, low sales, or error messages in Magento, php or on your site). How Much Does Watchdog Cost? Watchdog is a free Magento plugin. As such, you agree to hold Customer Paradigm harmless for any issues from delayed email alerts or system errors that could occur. Once Watchdog is installed (see details below), you can set up daily sales summary emails (and tell the system when to send them, and for what store), as well as triggers that will send you and your specified contacts email alerts if there is a spike in sales. Customer Paradigm created the Watchdog system, based on requests from our clients. Magento store owners know they can always log into the admin, but email is a push mechanism, and allows someone to receive a summary of the daily sales quickly and easily. It’s perfect for the store owner, or upper management, who wants reports, but needs them sent in an easy manner. * You haven’t had any orders in the last 12 hours (might mean something is wrong with the site). * There are errors on the site. Customer Paradigm developed Watchdog as a way to have an automated system watch over your store, and inform you via email. Master email addresses will receive ALL alerts sent out of the system. Type in email addresses, separated by a comma. This is the friendly display name and email address for email alerts sent from the Watchdog system. For best results, the sender email address should be an email address associated with the domain name of the main Magento store. If you try using a Yahoo, Gmail or other email address, spam filters may prevent your Watchdog emails from being delivered properly. Choose which stores you’d like Watchdog to monitor. For many Magento sites, there is only a single store. Make sure to hit the button so your settings are saved. To set up a Daily Sales Summary Email, Navigate to the main Daily Sales Summary Email Page. You can have separate Daily Sales Summary emails for each store, or create one roll-up report that aggregates sales information across all stores. You can also set the time when the Daily Sales Summary email will be triggered (i.e. 10 am, 1 pm or 11:55 pm). The system will only pull data from midnight of the current day. 1. View Existing Daily Sales Summary emails, and edit / delete when they are sent, what stores are included, and who receives summary emails. To edit an exisiting Daily Sales Summary, simply click on the row. This is the name of your daily sales summary email report. This will appear in the subject line of your email alerts. Select the time you would like to receive the alert. Note: Send time is based on the timezone of your server, and the report will be from 12 am the current day until the selected time. The system will display your current server time. If you have multiple summary reports, the sales information will always be from 12:00 am the current day until the selected time (i.e. it will not start from the time of the previous report). Select the store or stores from which you would like to receive a daily summary report. If you select multiple stores, the report will aggregate (combine) all of the sales into one roll up report. If you would like to have individual reports for each store, please create a report for each store separately. On the Watchdog Daily Sales Summary Contacts Tab, you can add additional contacts who want to receive the Daily Sales Summary Email. By default, ALL Master Contacts will receive every report. By default all reports are emailed to the Master Contacts, listed above. If you would like to have this specific report sent to an additional person, please select from the email contacts below. In the Watchdog system, you can add additional contacts who wish to receive specific alert emails. For example, a manager of the store may only wish to see a single roll-up report at the end of the day, but a person who works on the site all of the time may instead wish to have reports sent several times per day. By default, all alerts are sent to the Master Email Address list. You can use the contact system to add, remove or edit existing contacts for Daily Sales Summary Alerts and Trigger Alerts. You can view existing triggers (to edit or remove them), or create a new trigger easily. From this screen, you are able to view existing triggers (to edit or remove them), or create a new trigger easily by clicking on “Add New.” To edit an existing trigger, click on the row. From this screen, you are can name the Trigger, and associate it with one or more stores. The trigger name is displayed in the email alert, and should be descriptive. Select the store or stores you would like the trigger to use for generating an alert email. You can have the Watchdog system notify you if your store is reporting errors. * Send an alert every five minutes for Critical Site Errors, and include additional people. * Send an alert every two hours for general errors on the Magento site. From this screen, you can create Trigger Alerts that will notify you based on how many orders are placed on your site. Enter in the number of orders you want to trigger the alert. For example, if you put in 50, the system will look for more than / less than / equal to 50 orders before sending an alert. … the number of orders specified above. For example, you might want a trigger if sales exceed a specific number of orders within a half hour or hour. For simplicity reasons, we have only included these intervals listed above. We’ve created an easy-to-follow “Alert Me When” description that shows in plain English what the alert will do. You can have Watchdog send an alert for only Critical Errors on the site (and perhaps set this to a five minute or half-hour interval). Critical errors are complete show stoppers (meaning your site is not running, or is about to crash very soon), and mean the user could be seeing a raw PHP error, or cannot checkout or view the site. General errors usually give you a little bit more time to fix on the site. They may not prevent someone from being able to use the site, but depending on your settings for your Magento store, General errors may appear on the front end of the Magento Website. You may wish to create two separate Trigger Reports for errors. One for critical errors, set for every five minutes; the second might be for general errors, set to every hour, day or week. On the Watchdog Add / Edit Trigger – Contacts Tab, you can add additional contacts who want to receive the Trigger Alert Emails. A quick update to the Watchdog system: We’ve added a trigger report that makes it a lot easier to troubleshoot when things go wrong on your site. 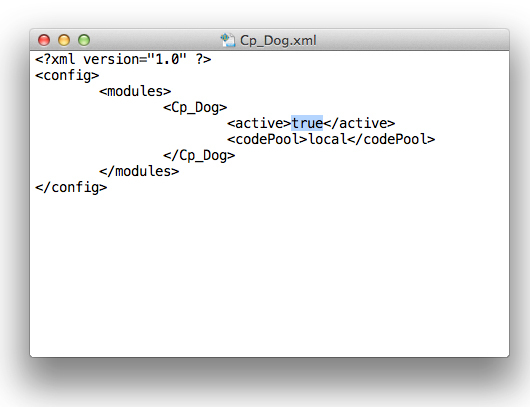 Each day, Watchdog can check your Magento site’s core_config table, to see if any changes have been made. Even if they weren’t made in the admin area, but changed directly in the database. 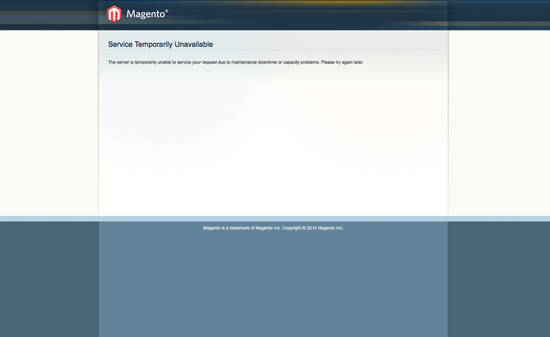 Magento is an extremely powerful program. An admin user has access to be able to make many, many changes to the system to better configure the system. 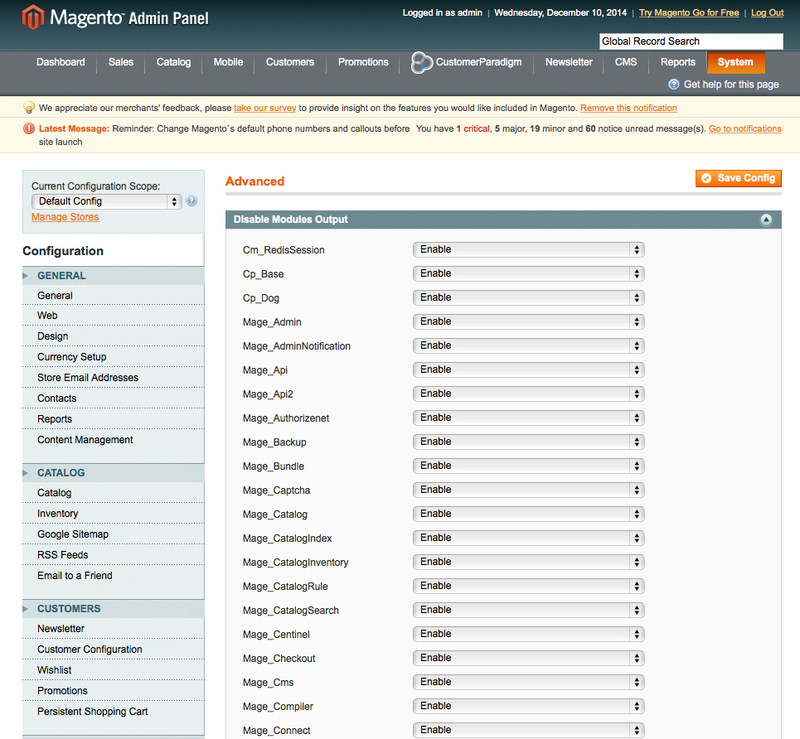 The most important changes and settings on a Magento site are saved in the core configuration database table. And unfortunately, there’s not an easy way to know if someone changed something via the admin and whether or not it will break the site. For example, if an admin users changes the secure base URL from https:// to http://, then your site will no longer be secure. And many things, including payment processing and shipping methods will cease to work. In the Magento Enterprise system, there is admin logging. So you are able to go back through and find out a system log for any change that has been made to the system. This includes each time someone logs into the system, updates or ships an order, or makes a change to the system. Unfortunately, there’s no way for the system to let you know via email if something important changed. And that doesn’t help anyone running the Magento Community platform, which make up 98% of the installed Magento sites out there. Plus, if someone goes in directly to the mySQL database (not usually a good thing to do, but something that attackers or hackers will do), admin logging won’t show these changes. But they don’t know what was changed. Either by going into the Magento admin area or changing it directly in the mySQL database. 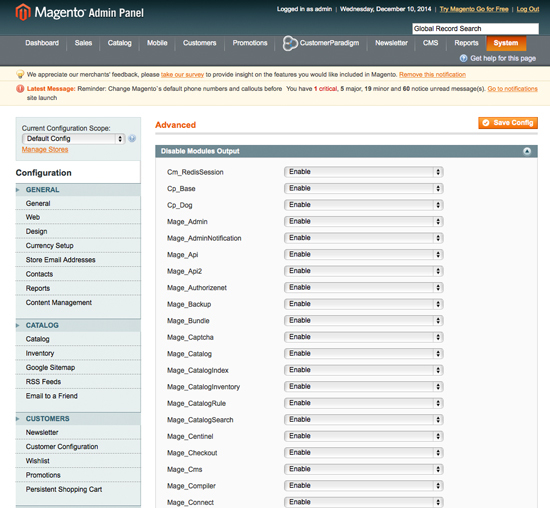 So, we’ve added to the functionality of our already robust Magento Watchdog extension. What this does is each day, it takes a snapshot of the core_config table, and compares it to today’s snapshot. We do also take an initial baseline snapshot, too. This adds very low overhead to the database from a storage perspective, but allows you to have a way to know what was changed. We didn’t build in a “restore” function into the system, however; this is a notification-only type of a system. This type of functionality could have saved us hours of time troubleshooting a site, and shaved a great deal of time off of fixing a site that’s down. In some cases, your site will be placed into maintenance mode during the installation process. … then the installation script may have encountered an issue and may not have taken the system out of maintenance mode. The site should turn back to normal. Need Help With A Broken Watchdog Magento Installation? In rare cases, we have seen an issue in older versions of the Watchdog extension if there is a conflict with the PHP version of your site, and the Magento Installation might not have run (we have a bug fix in place for this). 3) Ensure there isn’t a record in the core_resource DB table with a code of “dog_setup”. If it is there, remove it. 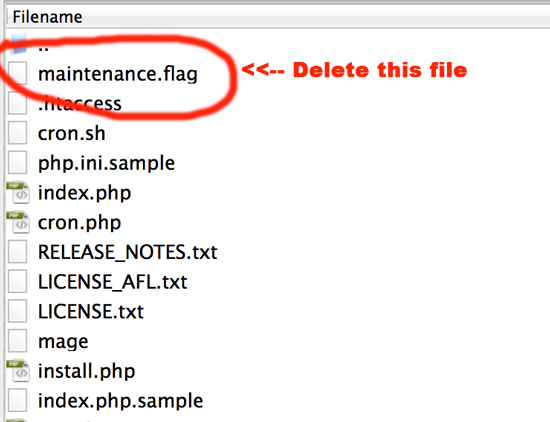 4) Remove the maintenance flag if it was put in place. 5) Visit the site (i.e. visit the front or backend in your browser). 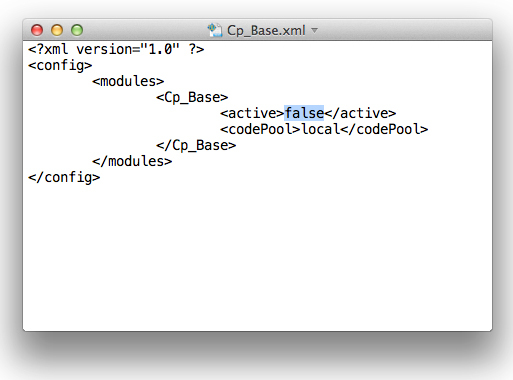 This should now correctly run the module’s install script and fix the issue. Need Help with Magento or SEO? Customer Paradigm can help.